Colombian authorities have managed to prevent an assassination attempt on the country’s President Ivan Duque, according to Colombia Reports. The news website quoted Colombian Prosecutor General Nestor Humberto Martinez as saying that his office has “reliable information” that illegal armed groups infiltrated the Regional Indigenous Organisation of Cauca (CRIC) in order to stage a “terrorist act” against Duque during his visit to the southwestern province, which scheduled for 9 April. The Colombian president reportedly planned to travel to Cauca after indigenous protesters agreed last Friday to end a weeks-long blockade of a major highway in the province. According to Colombia Reports, death threats against regional native Colombian leaders appeared in several villages in northern Cauca, where the CRIC “has been leading protests to demand an end to state neglect”. 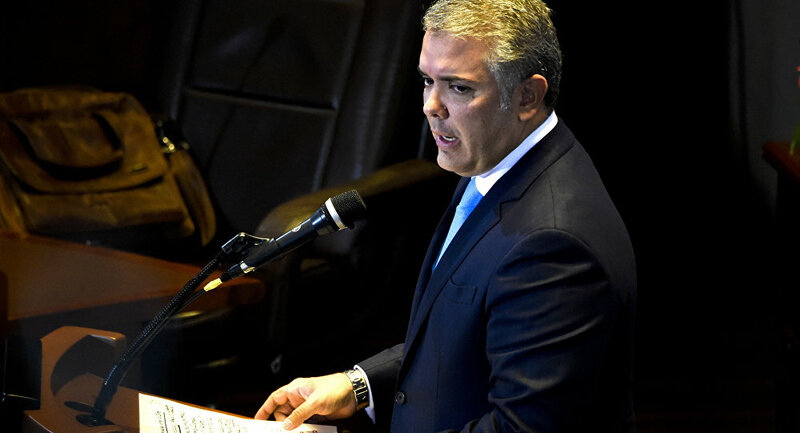 President Duque is yet to comment on the assassination attempt reports which came amid the ongoing political standoff in neighbouring Venezuela, which started in January when opposition leader Juan Guaido declared himself the country’s interim president after disputing President Nicolas Maduro’s re-election in May 2018. Following Guaido's move, the United States and dozens of other countries recognised him as interim president and called on Maduro to step down. Colombia is among the states which stand against the Venezuelan government and it was across the Venezuelan-Colombian border the US unsuccessfully tried to deliver humanitarian aid to Venezuela in February. Following the developments, Maduro said that his government had broken diplomatic relations with Colombia and would expel some Colombian diplomatic staff after Bogota assisted the opposition’s efforts to bring humanitarian aid into Venezuela.